Jackie and I are prepping for a big trip bikepacking in Iceland later this month and we decided to make a trip out to New Mexico to fine tune our rigs. 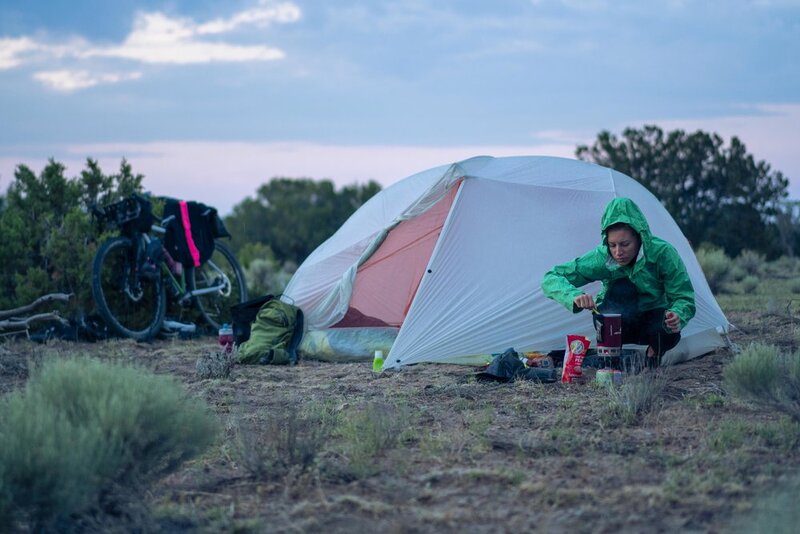 Van Dessel Cycles, Big Agnes, Vittoria Tires, and Patagonia had supplied us with some new product for Iceland and we needed to refine and test our kit. We were looking at a short route out west of Santa Fe - 3 days and 2 nights out in the backcountry with no water resupply points. The route was rocky and technical, plenty of hike-a-bike. We ran out of water and had to veer to the muddy Rio Grande to filter 11 liters of water to get us back. Cows, Pueblo Petroglyphs, steep ascents, beautiful desert scapes. Hot during the day, with cool nights and intermittent rain. Jackie walked away with lots of bruises from crashing, and a toe full of cactus needles. But also with a big ole smile on her face. Quite thankful for a partner who enjoys the suffer and adventure of life.